Vitamin K is a Fat soluble Vitamin which is required by human body to complete synthesis of certain proteins that are required for blood coagulation(clotting). Low levels of vitamin K can raise the risk of uncontrolled bleeding. Additionally this vitamin is also important for synthesis of certain proteins that the body uses for binding of calcium in bone and other body tissues. Besides this, vitamin K has a vital role in preventing serious health issues like osteoporosis, cardiovascular disease, and possibly even certain types of cancers. Vitamin K is found in two Basic Natural forms. Vitamin K1 is also known as Phytomenadione and synthesized by plants. Vitamin K1 is found in richest amounts in green leafy vegetables because it is directly involved in photosynthesis. One of the main function of Vitamin K1 is its activity in the production of blood-clotting proteins. Vitamin K1 is regarded as more absorbable, faster-working and less toxic than K2. Vitamin K2 (Menaquinane) is mostly found in animal sources and has several subtypes, which differ in isoprenoid chain length. Bacteria in the colon (large intestine) can also convert Vitamin K1 into vitamin K2. Vitamin K1 is considered very effective to heal bruising. According to some dermatologist topical application of Vitamin K1 is very helpful to quicken the fading of bruises. After surgery application of Vitamin K cream is also considered very effective. You can apply Vitamin K cream over the skin and area of bruise, the broken blood vessels will start healing quickly. Vitamin K1 is also very helpful for blood clotting. 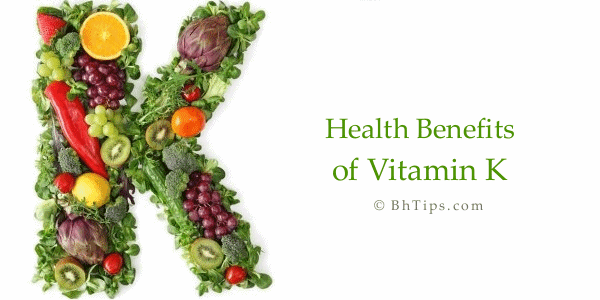 A deficiency of Vitamin K can causes a lot of blood loss even after a minor injury. While vitamin K deficiencies are rare in adults, they are very common in newborn infants. U.S. doctors have recommended that all newborns receive an injection of vitamin K to help with clotting, because newborns tend to have a deficiency of this element and may experience excessive bleeding. Vitamin K can be helpful as part of a compound to help decrease dark circles around the eyes. Studies presented to the American Academy of Dermatology in 2003 showed that topical Vitamin K works well to reduce both bruising and dark circles under the eye. Vitamin K is also essential for healthy bones because it helps in absorption of calcium content from food, which helps in formation and maintenance of healthy bones. Vitamin K increases bone mass, makes them stronger and prevents bone fractures by minor accidents. Vitamin K also prevents age-related bone loss. Vitamin K2 prevents arterial calcification that leads to atherosclerosis. When calcium is leaching out of your bones then the excess calcium may form calcium crystals and these crystals can be deposited in the cardiovascular system including the arteries and may lead to fatal consequences. Vitamin K2 reduce the risk of coronary calcification and hardening of arteries. Vitamin K2 prevents the onset of osteoporosis by helping to increase bone mass. A lack of Vitamin K2 may cause loss of calcium from bones. The resulting lack of calcium in bone leads to osteoporosis. A good amount of Vitamin K2 can prevents and reduces the risk of osteoporosis. Recent scientific researches have shown that people with good amount of Vitamin K2 are at low risk of Osteoporosis as compared to those who don't get enough Vitamin K2. Vitamin K2 is also beneficial in reducing the risk of certain cancers. European study of more than 11,000 men over nearly 9 years found a reduced risk of prostate cancer with a higher intake of vitamin K2. 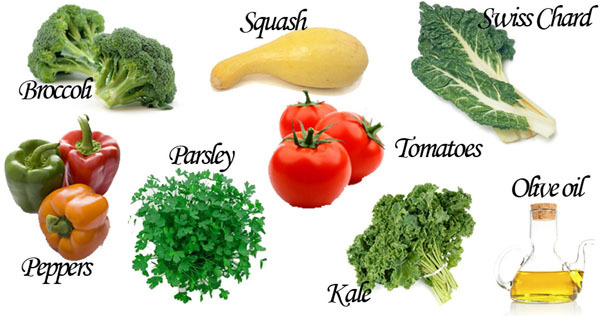 Green leafy vegetables are best sources of vitamin K1. Kale, spinach(palak), parsley(Ajwain Kharasani ), turnip greens, mustard greens, collard greens, broccoli and asparagus are good sources of Vitamin K1. Vitamin K2 is mostly obtained from animal sources. Cheese, butter, cow's milk, egg yolk, chicken and liver are good natural sources of Vitamin K2. Fermented vegetables, especially natto and sauerkraut are also rich sources of Vitamin K2. Deficiencies of this vitamin are more common among people who have digestive trouble, especially as it relates to the body's ability to properly absorb nutrients.Vitamin K deficiency is rare in adults. However, people with liver disease, pancreatic disease, celiac disease, bulimia, inflammatory bowel disease, people on strict diets, people who drink alcohol heavily, people with malabsorption, or people who have had abdominal surgeries are at a higher risk. Since Vitamin K is most important to the blood clotting process, one of the most recognizable symptoms of a deficiency is the amount of time it takes blood to clot. If it takes the longer than normal, it is a clear symptom of Vitamin K deficiency. People with a Vitamin K deficiency also develop bruises more quickly than normal. Injuries that normally would be considered minor can become serious conditions when blood does not clot as it should. Bleeding of the gums or nose and heavy menstrual bleeding in women are some other symptoms of Vitamin K deficiency. Given table will show the recommended daily allowance of Vitamin K during different life stages. However, in case of other factors, such as pregnancy, breast-feeding, and illness you may need to increase or decrease the amount you need as prescribed by your doctor or health care provider. American Cancer Society warns against the use of foods containing K2 for people taking blood thinners. If you take blood thinning drugs (such as anticoagulant/antiplatelet drugs), you may need to limit vitamin K foods.You should know that Vitamin K or foods containing vitamin K can affect how these drugs work. Too much of either form(K1 or K2) could inhibit the actions of these drugs or lead to fatal blood clots. Always consult a doctor or a health care provider, how much Vitamin K containing foods you should eat.